Located 1/4 Mile North side Boaz on State Highway 171 Boaz, WI. Coordinates Lat N 43:20'116" Lon W -90:31'496"
This farm was the first in Wisconsin to. 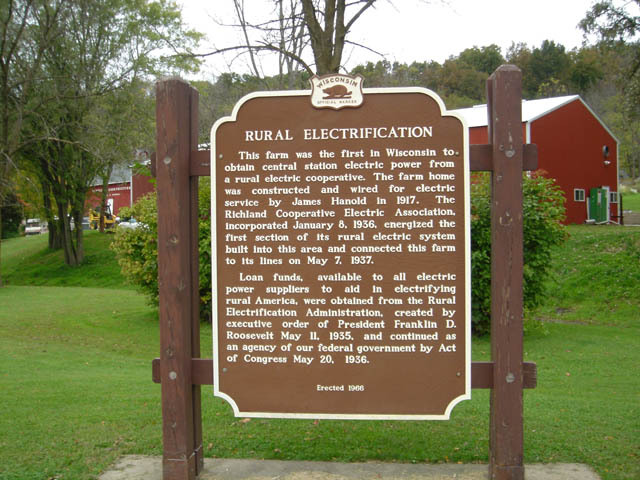 obtain central station electric power from a rural electric cooperative. The farm home was constructed and wired for electric service by James Hanold in 1917. 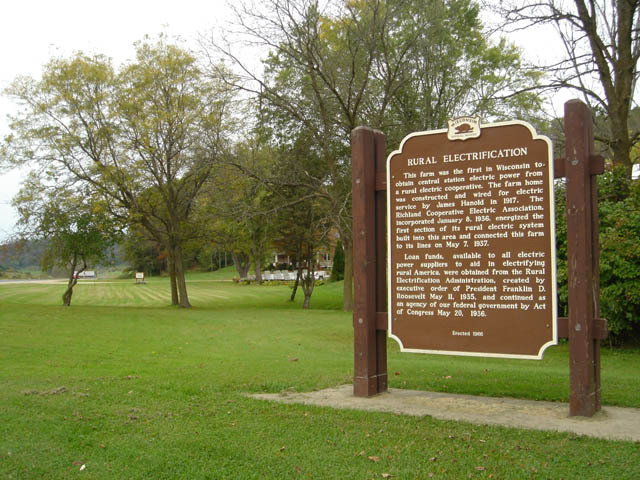 The Richland Cooperative Electric Association, incorporated January 8, 1936. energized the first section of its rural electric system built into this area and connected this farm to its lines on May 7, 1937. Loan funds, available to all electric power suppliers to aid in electrifying rural America, were obtained from the Rural Electrification Administration, created by executive order of President Franklin D. Roosevelt May 11, 1935, and continued as an agency of our federal government by Act of Congress May 20, 1936.